If you are reading this page on our website you are probably faced with the dreaded S/CL class illumination defect. 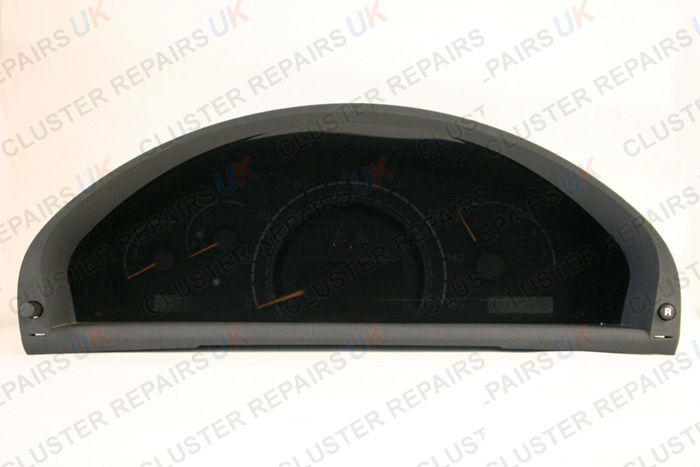 Cluster Repairs UK now offer a full rebuild of your instrument cluster at a fraction of the main dealer replacement costs. We at Cluster Repairs UK can test, rebuild and re-test your instrument cluster backing it with a 5-year unlimited mileage warranty from the illumination defect. 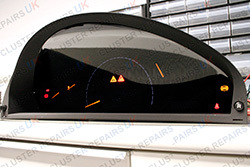 Cluster Repairs UK have researched, manufactured and sourced all original parts for the S/CL instrument cluster which allows us to warrant our repairs for the longest possible periods with stunning results and excellent rebuild workmanship. Please note we know there are many other cheaper repair methods which other re-builders use but we can guarantee you these methods do not work as per manufacturers design and you can be faced with sending your cluster back for repair time and time again. WHY NOT PAY THAT LITTLE EXTRA AND GET REPAIR DONE PROFESSIONALLY BY CLUSTER REPAIRS UK? 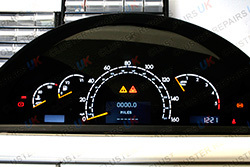 In-house while you wait 2-hour repair service, includes removal and re-fit of instrument cluster: £160. Mail order including removal instructions, return packaging including box, bubble wrap and return address labels plus a loan instrument cluster which allows you to start your vehicle and stay on the road with no fault codes being stored on your ECU whilst your instrument cluster is being repaired: £190 plus £150 deposit which is refunded when our instrument panel is returned to us. If you are unsure on any of the repair methods to choose from, or need any more advice please do not hesitate in contacting one of our UK friendly staff and they will more than happy to assist you further. Many re-builders use cheap methods or low quality copy parts to repair this defect. 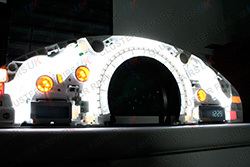 If you have had your instrument cluster repaired and the unit still flickers, does not illuminate enough or the lighting does not adjust via controller, do not discard your cluster. Give us a call and we guarantee to get it working or offer you a replacement at the same price of repair. 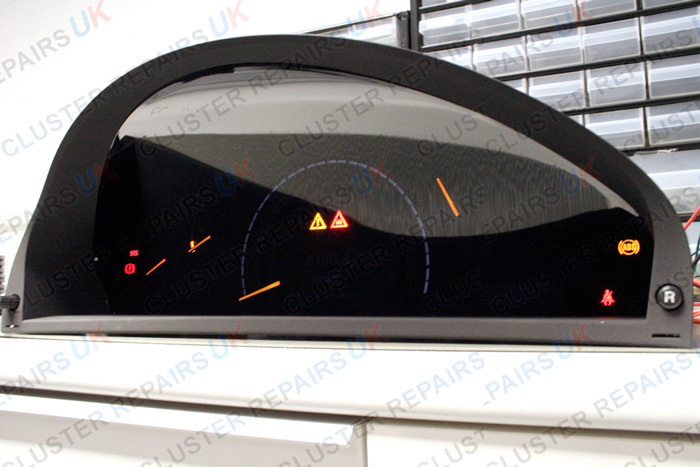 Cluster Repairs UK are specialist in rebuilding the S/CL class instrument cluster. Once your unit has been booked in, please send us an order acceptance form with your repair.